Every year India’s Republic Day celebrations have been a national window to the country’s multifarious culture. While the presence of a foreign dignitary as the chief guest and tableaux remain constant, the parade sees different themes every year, showcasing our country’s advancements in various fields. The Republic Day is celebrated every year on January 26, honouring the day on which the Constitution of India came into effect in the year 1950, replacing the Government of India Act. The parade is held in the national capital and showcases the cultural diversity, military might and industrial strength of the country. The march begins from the Rashtrapati Bhavan and ends near the Red Fort. There are one or more elements that each year’s parade holds differently from the rest. For instance, last year’s Republic Day celebrations hosted ten leaders of the Association of Southeast Asian Nations or ASEAN as guests of honour at the ceremonial parade. For the first time, the parade showcased over seven hundred participants across the guest countries along with participants from the Indian Army, Air Force, Navy. In 1950, on this day, the newly-sworn President of India, Dr. Rajendra Prasad had rode through the streets of Delhi to reach Irwin Amphitheatre (now Dhyan Chand National Stadium). 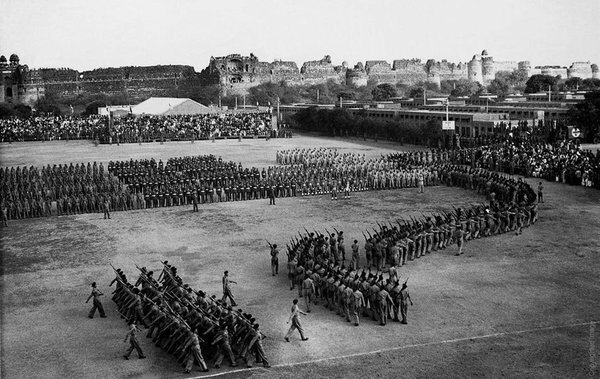 This was the venue of the first ever Republic Day parade, where 3,000 officers of the armed forces, and more than 100 aircrafts had participated. However, this was not officially considered as a parade. A celebration close to the current parade was only adopted in 1955 when Rajpath was chosen as the permanent venue. 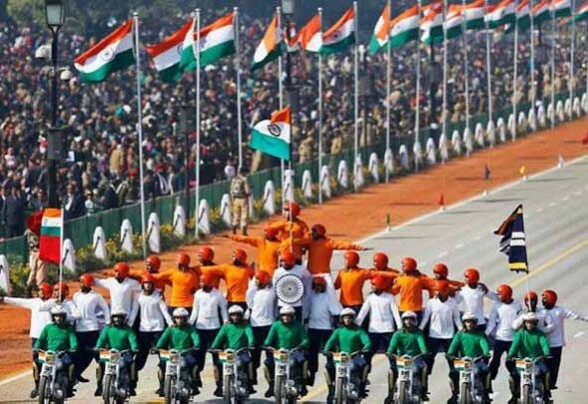 From then on, Republic day parades have become a projection of the cultural heritage, military capabilities and achievements of the nation, besides being a reflection of India’s changing foreign policy. Back then the country’s President used to enter in a royal carriage. Fast forward 70 years and the current Prime Minister and the President enter in a royal bulletproof car followed by heavy security. Not just this, Republic Day celebrations have grown in size and stature along with the love of its people for the country. Back then, the helicopters were used for flypast as compared to today where the highly trained jet fighters make the flypast – a sight to behold with aerial acrobatics and smoke shows every year. The march past, which has always been an integral part of the parade with various regiments of the army and armed services marching away with pride, has become bigger and better over the years with various stunts performed by personnel of the armed services, including bike stunts with rifles. As India is slowly moving towards women empowerment and focused on uplifting their strengths in various fields, this year on Republic day it will honour ‘Nari Shakti’(women strength) in the country. Major Khushboo Kanwar, 30, will lead a contingent of the Assam Rifles, the oldest paramilitary force in the country and Captain Shikha Surabhi from the Corps of Signals, will perform bike stunts alongside her fellow officers.